Get Part One now and start freelancing today. The full book is coming very soon! *It’s a Writing Course that Pays YOU! I didn’t just write about it, I’ve actually done this. And you can, too! 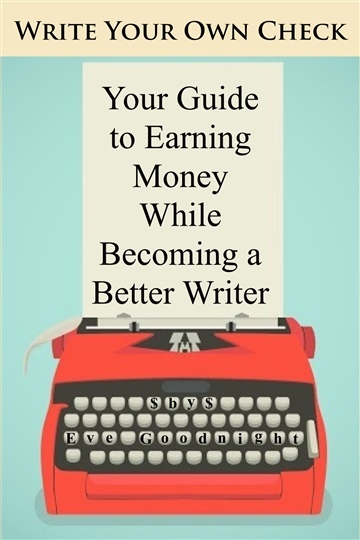 The complete book is coming soon, but you don't need it to become a better writer and start earning money today. I always loved reading. As soon as I’d cracked the code and learned to read on my own, I couldn’t get my hands on enough books. I begged to go to the library like most kids beg for ice cream. I had an odd obsession with nonfiction books. I wanted FACTS! I needed to know how the world worked. But I also loved a good story, usually about animals. I grew up on the back of a horse. So, naturally, “Black Beauty” and “King of the Wind,” were early favorites. I loved writing, too. My mom still had some of my early stories written on wide-ruled paper meant to improve handwriting. I also illustrated them very carefully with crayons. But I somehow never gained a lot of confidence as a writer. I always felt like anything that I had to say would surly be obvious and uninteresting. I held onto this insecurity into my engineering career. White papers caused me a lot of sleepless nights. I always imagined that my audience were PhD’s who would find my technical explanations laughably elementary. I felt this way even after I was published in popular industry trade magazines. In the last three years I’ve been phasing out engineering and moving into…what? Well, writing is what I keep coming back to. But, once an engineer, always an engineer, I began to examine the writing process and my feelings around it. Well, maybe the engineer in me didn’t look at the feelings, but definitely the process! I knew that I had to write more words. I also needed to let go of the myth of the muse. If I only wrote when I felt like writing, there wouldn’t be much writing getting done. So, I began freelancing. I primarily wrote web content. It was perfect! I got short assignments with quick deadlines. And I got paid! It wasn’t a lot of money, but that wasn’t the point in the beginning. I was learning to get out of my own way and be a better writer. I was over the moon when I read that! It was for a satirical article on GMO foods…even better. I could be funny! I had stepped out of my matter-of-fact approach and found my voice.